For the past few months, there has been a substantial Google Voice buzz on the interwebs. Ever since Google acquired Grand Central in March, folks have been signing up for invites. In mid-July, my Google Voice number was born. I didn’t roll it out with a huge release at first, I beta’d it. You know, called a few folks and gave that number as the return, and watched if it was something to get excited about. This kind of number portability has been on my mind the first time I met someone selling Tagline about 5 or 6 years ago. Tagline has a monthly fee, Google Voice does not. Free! That is why there was so much buzz. 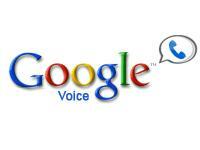 So what can you do with Google Voice? You can give out your Google Voice number and assign it to every phone you have at your disposal. Mine rings the office phone and the mobile. Big deal, right? You can do that by forwarding your number. If you are a networker on the go, in and out of meetings, away from your business phone… constantly checking your voicemail is a pain. And I’m semi-old fashioned, because I do not give out my mobile phone to every one. The thousands of biz cards that I have circulated over the years does not have my mobile on it. People call my business line and leave messages if I’m not there. Forwarding your office number to your mobile all the time is a pain. With GV, not only will the calls go to your mobile, but if you can’t answer the phone because you’re in a meeting, you will see your messages transcribed in a text and email. Imagine how well you can stay in touch when you’re holding your Blackberry under the table? Think about it, returning messages in seconds, instead of waiting until meetings are over to call in to your voicemail and then returning the call. Just that feature alone is worth the cost. And Blackberry has a GV app, which makes the process simple and streamlined. You can screen your calls like an old fashioned answering machine and stop the call mid-stream to answer. Here’s a list of more things you can do. Now all you have to do is get all of your contacts, to start using the GV number. I simply put a new voicemail message up stating that I have a new number. I also changed my number on all my social media sites and groups I belong to. I stopped giving out my biz cards and have been sending info via Dub and Dropcard. Folks switched immediately. Very nice summary and personal story. I am following your example. A little tardy but still following.